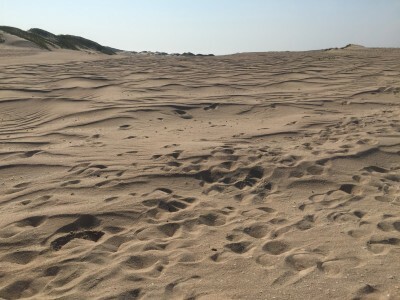 Ash Dykes and his guide Mi trekked 120 miles of sand dunes to reach Fort Dauphin. Photo by Ash Dykes. Recently, we chatted with Ash Dykes during his stop in Fort Dauphin near the start of his epic 1,800 mile trek across Madagascar. 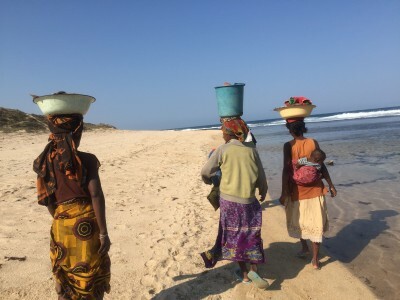 He had just finished his first 120 miles—hiking through grueling sand dunes with limited water—and had met with both Azafady and Sainte Luce Reserve to discuss their work in southwest Madagascar. For the first section of the trek, Ash was joined by a local guide named Mi. We’ve seen wildlife: snakes and chameleons. 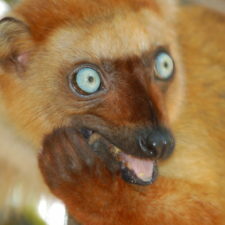 I saw a lemur only on the drive down south. 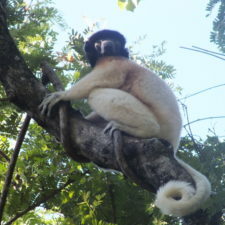 Mi saw a catta lemur on the walk back up, but I didn’t see it. Lots of tortoises. 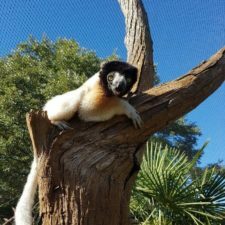 It’s been great … We’re heading into the forest next, so I’m hoping I’ll see more lemurs. 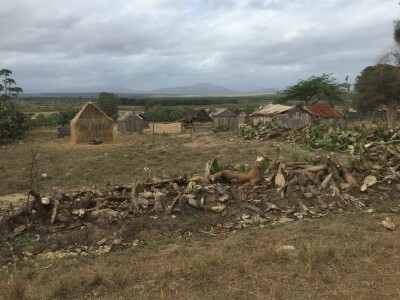 A local community along the coast of Madagascar. Photo by Ash Dykes. “There was this one dodgy character who was walking with me and Mi, who is my guide. He said we could stay at his little hut. So we thought okay, that sounds cool. As we were walking, Mi got a thorn stuck in his foot, so he stopped and I continued with this guy, only a few meters ahead. 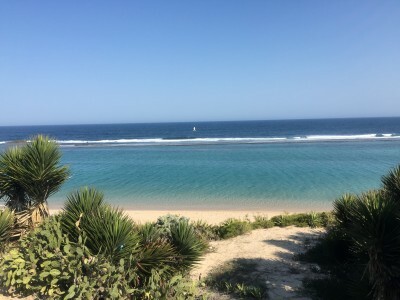 Beautiful coastal view of southern Madagascar. Photo by Ash Dykes. 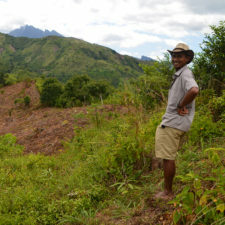 Ash met with Azafady in Fort Dauphin to learn more about their work. “It was exciting to talk with Azafady. They said that although there are species that are endangered, there are also new species they are discovering: reptiles and primates. They have a book of wildlife from the area in 2006, and in 10 years, the size of the book has doubled. So that was really cool; that’s great news. But they’re in shock as to how little forest they have left. 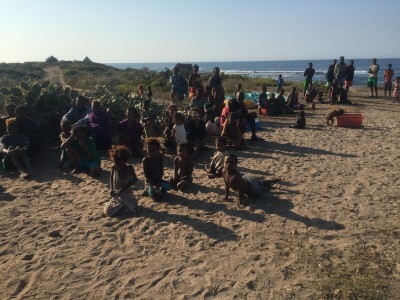 Photo of local community in southern Madagascar. Photo by Ash Dykes. Ash also met with Brett Massoud from Sainte Luce Reserve and Association Filana. “It was great to meet with Brett. He’s done a lot in the past 20 years that he’s been here. He told me about some plant life that is becoming extinct in the area where he works. He managed to get the seeds and plant it, and it went from only remaining 60 trees of that species to over 600. Malagasy village in southern Madagascar. Photo by Ash Dykes. “My guide Mi was supposed to go home, but he really enjoyed the trip so much, that he’s asked to stay. I like that enthusiasm. This is also good because Mi can hold the camera and film me and [my new guide] Joe. Where is Ash Dykes right now?